Jolynn Minnaar is a young South African director, cinematographer, photographer and communications strategist. 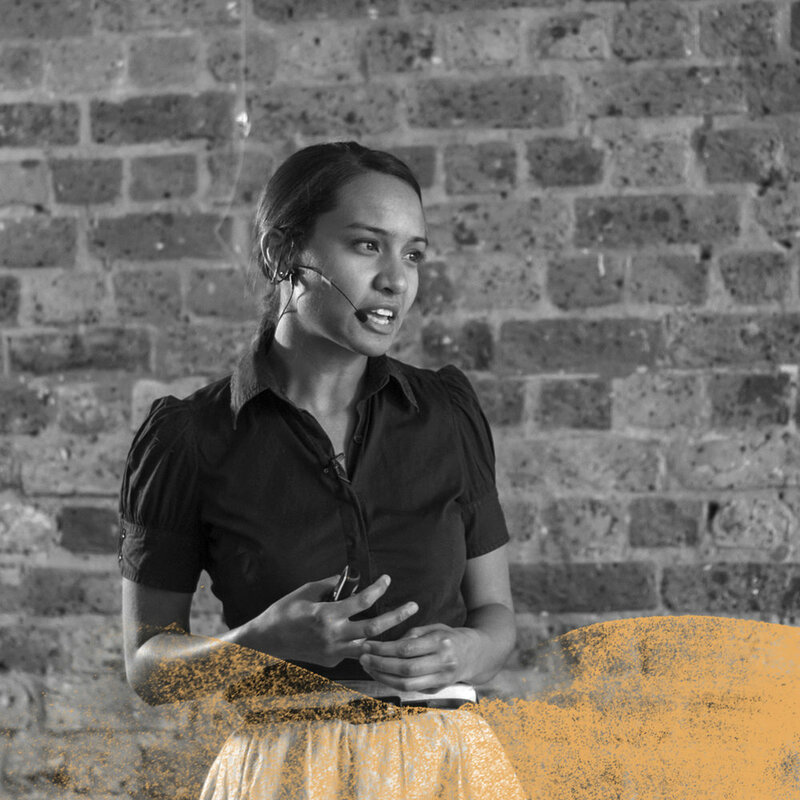 Committed to telling stories that matter, 2014 saw the release of her acclaimed debut feature documentary, Unearthed (@un_earthed), which won the Green Award after its World Premiere at the prestigious Sheffield Doc/Fest 2014 as well as the Best South African Film Audience Award at the 2014 Encounters Film Festival. Named Glamour Magazines “Women of the Year: Change Agent” for 2014, Jolynn works to contribute to dialogue in South Africa by producing meaningful art across all media. Rarely seen without a camera or notebook in her hand, Jolynn is usually on the outside looking in, questioning or reframing the world around us to better understand where we’ve come from and where we’re headed. 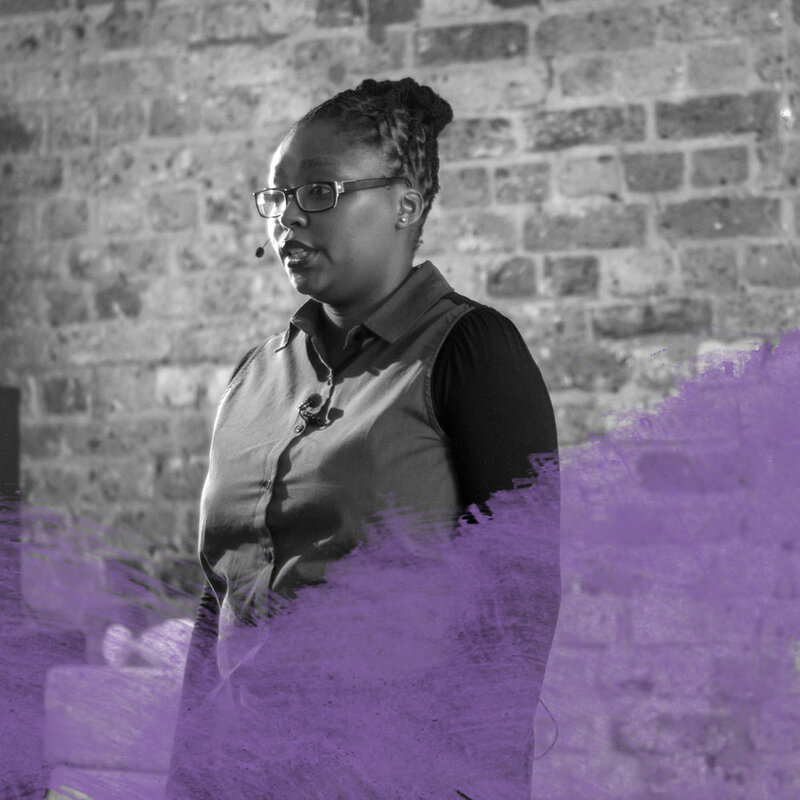 Rethabile Mashale is Program Director of Thope Foundation and lead consultant at Rethabile Mashale Consulting. Thope Foundation is a nonprofit organization supporting primary schools girls with tutoring, leadership skills, mentoring and life skills in an effort to intercept vulnerability and support girls to achieve their dreams. She has spent the last decade working in the non-profit sector and academia. Her professional training is in Social Work and holds a Masters Degree specializing in development studies and social transformation from the University of Cape Town. She is currently a PhD candidate at the University of Stellenbosch. Rethabile has worked for local and international non-profit organisations in the fields of education, health, research, monitoring and evaluation and organizational development and management consulting. Patrick Godana was born to a working class family in Port Elizabeth, and left the country in the early 80s only to return as a political activist who was arrested, tortured and sentenced to 5 years in Middledrift Central Prison where he completed his matric. Since his release he obtained a Bachelor of Theology from UWC, a Higher Diploma in Education from UPE and was ordained as a Lutheran priest in 2004. In 1998 Patrick co-developed the Men as Partners Programme in South Africa, educating men and boys on Gender and Sexual and Reproductive Health. He joined Sonke Gender Justice in 2007, coordinating the One Man Can campaign, and co-leading the MenCare campaign. Patrick is currently the Government and Media Liaison Manager for Sonke, leading national campaigns to improve the justice system towards the emancipation of women. Mary Ovenstone is an Executive and Leadership Coach and Mentor, a Canadian-trained Counsellor for individuals and couples, international workshop presenter and public speaker, author and frequent guest in the media. Her latest research has been on the neurological differences between the male and female brain, how we think, process emotions and relate somewhat differently. She developed brain-based coaching tools as well as methods for cross-gender thinking and decision-making for her thesis for an MPhil in Management Coaching at the University of Stellenbosch Business School (USB), which she received in 2014. Koleka Putuma is a performance poet and theatre practitioner, who earlier this year represented the Western Cape, and subsequently won, the National Slam for Your Life Competition at the Grahamstown National Arts Festival. Koleka has headlined at SliPnet’s Inzync Poetry Sessions, Word N Sound Poetry and Live Music Series and at Off The Wall. UHM (2014) was awarded Best Student Writing at the NAF Student Festival in Grahamstown. She is a resident poet of the collective Lingua Franca and Co-Founder of theatre companies Velvet Spine, and the PaperCutCollective. Tracey Chambers is a Wynberg Girls High School Alumni, a UCT graduate and a Chartered Accountant with 20 years’ experience. She spent 9 Years with Woolworths in various positions and was Head of Finance for the last 5 years. She left the corporate world in 2009 to pursue her passion for teaching and empowering women. The Clothing Bank, founded in 2010, aims to inspire, skill and support unemployed mothers to eradicate poverty in their lives. It is now considered one of the best practice examples of sustainable Enterprise Development in South Africa. Kim Smith is a Menstrual Health Activist, who until discovering the world of social entrepreneurship, has always been conflicted between her passion for social responsibility and her drive for business. A Mandela Rhodes Scholaarship and DAAD Bursary recipient, Kim has studied human rights, development studies and worked with various women and young people in Khayelitsha and Mitchells Plain. Kim works with a global group of seven women who aim to raise awareness and incite action towards addressing our access to fresh water crisis, and is currently devoted to her own social enterprise which seeks to provide alternative female sanitation products to women of all walks of life.